Along with the global diamond industry, Whitakers has a zero-tolerance policy toward conflict diamonds and crafts our exquisite rings exclusively from responsibly sourced diamonds. Measures like the Kimberley Process track diamonds from mine to market and our industry – in partnership with the United Nations, governments, and non-governmental organizations – polices diamond exports to prevent the trade of illegal diamonds. 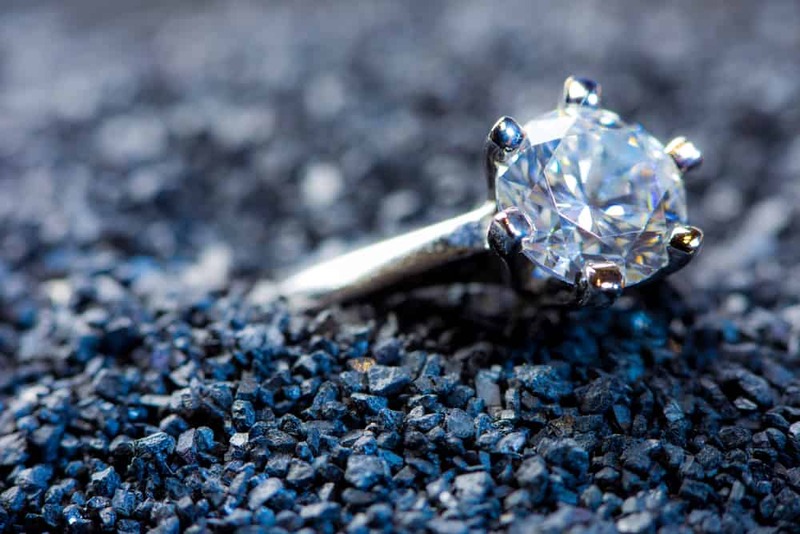 At Whitakers, we only purchase diamonds through the largest and most respected suppliers which, like us, proudly adhere to and enforce the standards established by the Kimberley Process. All Whitakers diamonds are warranted to be conflict-free. It is our commitment and promise that should one of our suppliers ever be found in violation of that process, we would immediately sever that relationship. We will continue to support and promote any process that works to uphold legitimacy in the diamond trade. Diamonds are mined throughout the world, including from major mines in Australia, Africa, Russia and Canada. At Whitakers we monitor, and gain a full understanding of, the supply chain of our diamond partners in order to fully guarantee the origin of our diamonds.